New research published in the American Journal of Physiology indicates that exercise may minimize, and even reverse, age-associated declines in mitochondrial function. This has wide-ranging implications, as the health of the mitochondria intimately affect every cell, tissue and organ within the human body. Mitochondria are known as the “powerhouse” of the cell because they are responsible for producing the body’s primary source of chemical energy: adenosine triphosphate (ATP), but they are also intimately involved in a wide range of other indispensable cellular functions, e.g. neurotransmitter, hormone and RNA/DNA production, which is all the more fascinating considering that they have their own bacteria-like DNA ring completely foreign to our own. As we age, mitochondrial density (the number of mitochondria per cell), and mitochondrial quality (its genetic and structural integrity) decline. While this is a natural process, it can be greatly accelerated as a result of excessive stress, environmental radiation and chemical exposures(including pharmaceutical drugs), nutritional deficiencies, imbalances and/or incompatibilities, and mitochondrial DNA defects inherited maternally. 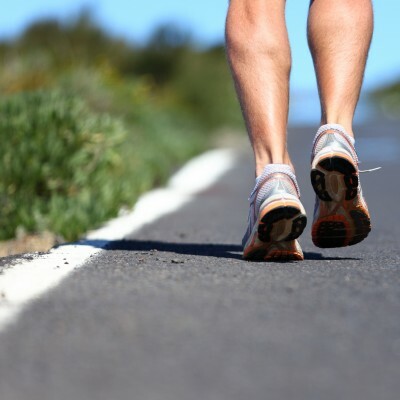 In the new study titled, “Age-associated Declines in Mitochondrial Biogenesis and Protein Quality Control Factors are Minimized by Exercise Training,” researchers found animals that underwent exercise training, consisting of treadmill running at 60% of the initial VO2max (also known as maximal aerobic capacity, which is the maximum capacity of an individual’s body to transport and use oxygen during incremental exercise), “…reversed or attenuated significant age-associated (detrimental) declines in mitochondrial mass,” as well as a wide range of additional age-associated mitochondrial changes, e.g. SIRT1 activity, AMPK, COX 4, etc. 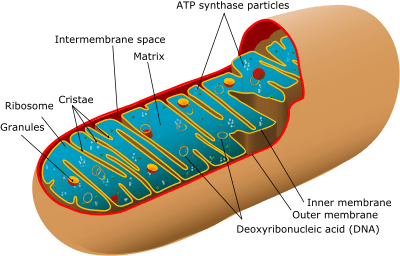 Mitochondrial biogenesis is the process by which new mitochondria are formed in the cell, and it is generally believed that the higher the mitochondrial copy number (or mitochondrial mass) the more protective it is for the cell. 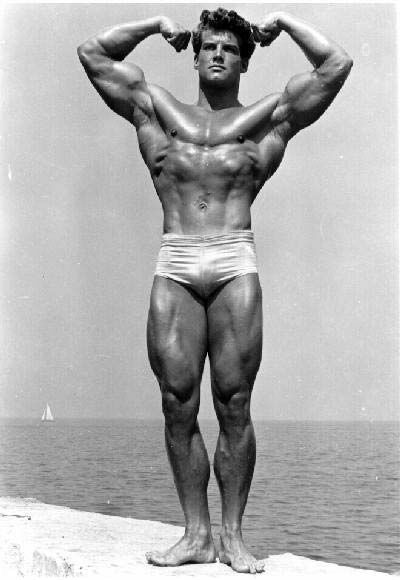 Most of the research in the past 40 years has been performed on muscle mitochondria, which are believed to confer greater resistance to fatigue and strength. The muscle cell type with the highest mitochondrial density is cardiac muscle – because the heart never stops working – which may have as high as 10-100 times more mitochondria per cell versus skeletal muscle (approximately 50 vs. 5,000). This is also why statin drugs like Lipitor (atorvastin), which reduce heart mitochondrial function, are so illogical for the primary prevention of heart disease; a disease which is certainly not caused by a lack of drugs. The well-known myotoxicity(muscle-damaging) properties of this chemical class of drugs may be primarily caused by their fatal disruption of mitochondrial function, and may explain why statins have been linked to such a broad range of pathologies, numbering over 300 on our database alone. This is not, in fact, the first study showing exercise-induced mitochondrial biogenesis. A 2011 study published in the Journal of Applied Physiology showed that exercise training increased mitochondrial biogenesis in the brains of mice, which opened the door to the possibility that exercise may reduce or reverse age-associated declines in cognitive function, especially those related to inactivity. Finally, a 2011 study published in the journal Applied Physiology, Nutrition and Metabolism, reviewed the role of exercise training in inducing mitochondrial biogenesis in tissues beyond that of skeletal muscle, namely, adipose tissue, liver, brain and kidney. Exercise, of course, is another way of saying intentionally moving our bodies – something which increasingly, in a world of mechanization and technological extension and/or substitution of bodily functions (transhumanism? ), is performed regularly only rarely by the majority of the world’s industrialized populations. The saying “move it or lose” speaks volumes to what is implied by the research on mitochondrial biogenesis, or conversely, the mitochondrial degeneration implied by lack of exercise. In other words, exercise may not be so much a ‘magic bullet’ that we apply to disease like we would a palliative drug. Although we have indexed over 80 “diseases” which appear to be prevented or improved with exercise, another way of putting it is: 80+ “diseases” may be caused by exercise deficiency, i.e. daily, moderate-to-intense physical exertion, may be a default, necessary state of the body in order to produce or maintain health. This is, after all, the very meaning of re-generation, which is the truly the default moment-to-moment state of our body, and the implied meaning of “re-creational” activities. Grape polyphenols: Shown to increase muscle mitochondrial biogenesis and decrease age-associated muscle atrophy in aged rats. Acai berry: While I am truly fatigued by the acai-berry hype that has proliferated like a virus with the typical multi-level-marketing intensity over the past few years, it has been studied in the fruit fly model to promote healthy aging and reducing oxidative stress, while measurably increasing transcript levels of genes involved in mitochondrial biogenesis. Resveratrol: It has been shown to induce mitochondrial biogenesis in a rat model. Quercetin: Shown to increase brain and muscle mitochondrial biogenesis and exercise tolerance in an animal model. Resveratrol induces mitochondrial biogenesis and ameliorates Ang II-induced cardiac remodeling in transgenic Blood Press. 2010 Jun;19(3):196-205. PMID: 20429690 rats harboring human renin and angiotensinogen genes.